Well, it’s the middle of December and it is started to be cold outside! No snow yet but down in the South, it may as well be. We are going to be waking up to 26 degrees outside! Tomorrow’s high is going to be 37 degrees. That’s super cold for us here. The cold bugs me a lot with my breathing problems and my skin dries out. I am sure that means my already dry eyes are going to be drier. For the past few days, I have been having a hard time sleeping and then when I wake up in the wee hours of the morning, I am getting back the burning eyes. 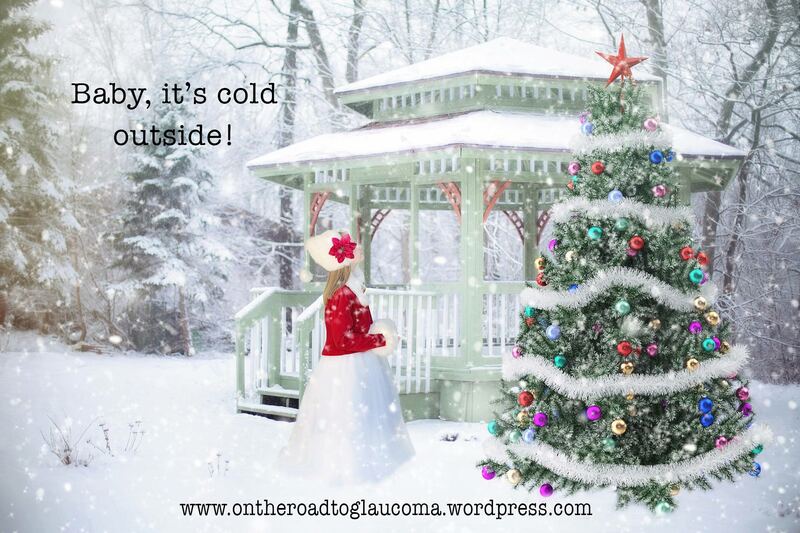 Is it the coldness or the dry heat from the woodstove on the porch? Not sure. Either way, my eyes are getting messed up. I know my vision has worsened a bit because last night, we were at our daughter’s school and there was this huge projector screen and I could not read the notes! I thought I was stuck at squinting but finally found my glasses in my bag. I could read the screen then. I should have realized that my vision has worsened because I cannot use the computer now without my computer glasses. Usually I could have done that, but not anymore. Thankfully, school is closing this week and that my hubby has been driving our daughter to school. I am so grateful for that because it is so hard for me to drive in the dark. My eyes are so light sensitive. So for the next couple of weeks, we get a break from getting out in the early morning commute. Yay!